Just about every day, someone says to me “I don’t know how you do it.” And, on the surface, I get it. My husband, Greg, and I both work full-time. We have 2 young children (ages 6 and 2.5). 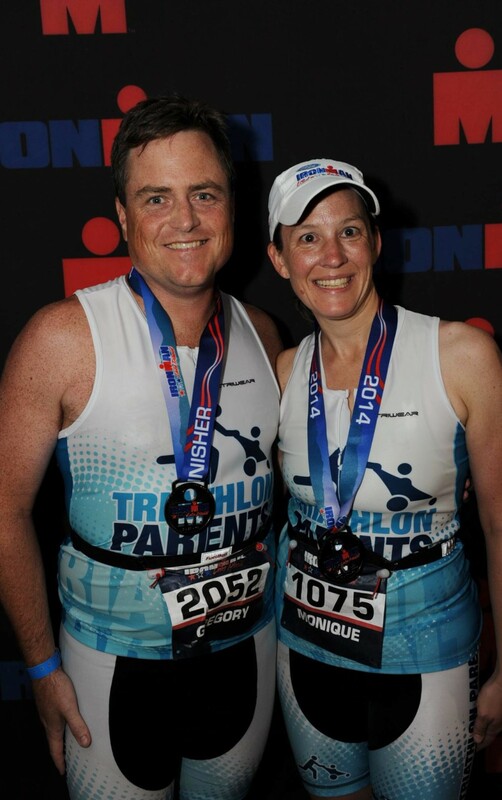 And, we’re both training for an Ironman this summer – actually, for the second year in a row. Yes, we’re crazy. We knew then that we were ambitious when we set out on our journey to train together, so we blogged about it, which is how this website got its start. Nearly two years into our journey, here are the “greatest hits” of what we learned, and how we’ve made it work. First and foremost, be honest with yourself that you can’t do it all. You’ve basically got four main areas of your life: Work, Family, Training and Personal. You’ve only got 24 hours in each day, so the reality is that you can’t double-down to get the promotion at work, coach your kids’ little league team, and plan your high school reunion, all while getting in 15-20 hours of training each week. Before you set out on your IM-training journey, figure out what’s most important to you for THAT year. Make a list of priorities in each area, and think about what commitments that will require. And, be honest with yourself about where you are willing to dial-back your time. Most importantly, share those priorities with your partner – i.e. training companion – so you’re on the same page. Plan, plan, plan, and work your plan. Fundamentally, this is the most important. You have to meticulously look at your calendar and proactively search to find the time to get it done. Each week, I look to the next week and schedule my workouts on my calendar around my work and family commitments. Typically, biking is early morning before the kids wake up. Swims are late afternoon between conference calls and meetings, and runs get woven anywhere I can find a block of time. But, in order to make sure that I have the time, I have to plan in advance, especially with coverage for the long workouts of the week. And, stick to your plan. When you miss workouts, you exacerbate the problem of finding time. And extra stress isn’t what you need. Just work the plan you’ve set. Be creative, especially with your long workouts. This is especially important with the last few months of IM training, when your long rides take up 6-8 hours. The last thing Greg and I wanted to do was spend all day Saturday on our bikes, while missing precious time with our girls AND paying for a babysitter. We both have flexible jobs, so we were able to take a fair number of Fridays off from work so that we could get in our miles. We found a biking route that would enable us to drop the kids at school at 8 am, drive out to our launch point, ride 90-100 miles, and then jump back in the car and pick up the kids by 6 pm. For those without the same flexibility, try to take advantage of “summer Fridays” or even use vacation days. Maybe you can’t do it every Friday, but every little bit helps. Double Up. This means finding time in your days to do two things at once so that you can “find time”. In a former life, I would steal time from my commute and run or bike home from the office. Greg and I have been known to run with the kids in the jogging stroller on the way to school or other activities. I’ve also (dare I say) participated in conference calls while riding my bike on the trainer. Just like you’re creative with your long workouts, you need to be creative with the weekday workouts too. If you stake a step back, you’ll find several ways to do two things at once. Buddy Up. Remember that you’re doing this together as a journey, so travel it together. Greg and I do at least ½ of our training together, and it’s been great to ensure that we get our chance to catch up with each other regularly. It allows us to motivate, encourage and pace with each other, but it also ensures that we’re keeping each other on track with workouts and not falling behind. He’s faster, but I’m more experienced at long distances. Over time, it just works its way out. Get a Coach. It may seem like a luxury, but it’s actually pretty important to have a coach work with you and your partner to develop the right plans for you. You need someone to help craft the right training plan that accommodates your schedule, and your needs. Plus, it’s super helpful to have each of you accountable to someone other than each other. Nobody wants to have to be the “bad guy” when your partner isn’t completing workouts. Join a gym with a daycare. At least once each week, we head to the gym with the girls to get in whatever 2 hour workout we need. Sometimes it would be back-to-back spin classes. Sometimes we would do a bike/run brick. Other times, it was just the weights. But, it’s a cheap support option and the girls loved it. (We would even arrange playdates with their friends – a great way to double up to dos!) Plus, it offers each of you early morning and late evening flexibility that you’ll surely need as a working and training parent. Get a Jogging Stroller. This helps a lot with the weekday miles and the shorter distances. I’ve learned that we can run about 6 miles with both girls in one stroller, but if I take just the oldest, I can go nearly 10 miles. (Here’s my secret – I run a 4 mile loop to the Starbucks. Stop, get a hot chocolate. Then we run 3 miles to a carousel on the National Mall. Stop, take a quick spin. Then, run 3 miles back home.) Sometimes, you need to fully divide and conquer with your spouse, but I found that the times I’ve spent while running with my oldest girl have been great mommy/daughter experiences. If you can afford it, get a Computrainer. It’s a running joke with my client, but at least once each week, Greg and I are on our bikes by 4:30 to complete our mid-week bike ride. Any old trainer would be fine, but I really think the difference between training for an Olympic-distance race versus preparing for an IM-distance is having a simulation-based system that mimics the changes in terrain, and simulates climbing. We just can’t get outside and ride on the road the same way that non-parents can, so this investment has paid off for us. Encourage & Forgive. Last but not least, don’t forget that you’re doing this for fun and fitness, and whatever other reason is important to you. You probably won’t be able to get it all done as perfectly as you would like, so remember to be supportive of your partner and yourself, keep your focus on what’s important, and be as diligent as you can in completing your workouts,. With that in mind, you’ll be able to get to the finish line, healthy and happy, and enjoy yourself and your family along the way.